LONDON: Britain has signed a multi-billion-pound preliminary order from Saudi Arabia for 48 Eurofighter Typhoon fighter jets, military equipment maker BAE Systems said on Friday. The lucrative deal was unveiled on the third and final day of Saudi Crown Prince Mohammed bin Salman’s visit to Britain. 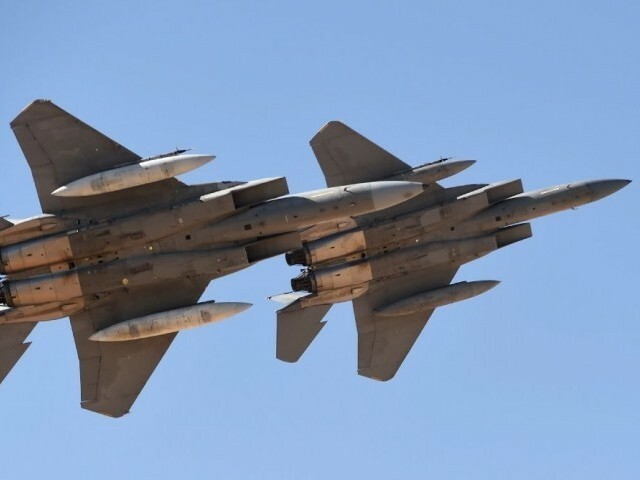 BAE Systems added in a statement that the order would help Riyadh modernise its armed forces under the kingdom’s ‘Vision 2030’ economic plan, while no financial details were given. Eurofighter was developed by a European consortium that also comprises Italy’s Finmeccanica and Franco-German civilian planemaker Airbus. “The UK Government has signed a Memorandum of Intent with the Kingdom of Saudi Arabia to aim to finalise discussions for the purchase of 48 Typhoon Aircraft,” BAE Systems said in a brief statement to the London Stock Exchange. “This is a positive step towards agreeing a contract for our valued partner. Friday’s blockbuster announcement follows long-running discussions with Saudi Arabia, which already has a total of 72 Eurofighter Typhoon planes in its fleet. The news also comes just two weeks after BAE posted sliding annual net profits — but forecast improving defence budgets across its major markets. Late last year, however, BAE said it planned to axe 2,000 jobs, and had partky blamed weaker demand for Hawk and Eurofighter Typhoon fighter jets. The deal confirmation followed intense speculation over the large aircraft order, which has been under discussion for many years according to media reports. The Eurofighter Typhoon — a competitor to the Rafale jet manufactured by French arms maker Dassault — has four major customers comprising Austria, Kuwait, Oman and Saudi.